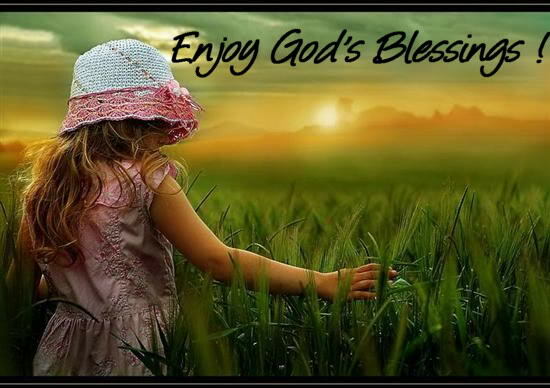 Proverbs 8:32 “Now then, my children, listen to me; blessed are those who keep my ways. Psalms 84:4 Blessed are those who dwell in your house; they are ever praising you. I’m so ashamed to say this….but sometimes I’m not grateful enough for what God has given me. Not only am I not grateful enough but I forget sometimes what He has done for me. I don’t intentionally do it…..I believe it human nature to want more, want better, and to live our daily lives without even thinking of all the blessings we’ve received from God yesterday. I’m being honest here and revealing personal things about myself because at this point in my life (I’m 58 years old) I don’t have anything to hide. I just want to be real with God, myself and others. Life is short and I want to grow as a person and encourage others along the way. The spirit of God let me know today as I prayed how blessed I am. I’m not talking just financial things but physically, spiritually, emotionally….. In fact in every area of my life everyday….24/7. I’m in my right mind (for the most part 🙂 , I can walk, talk, breath on my own, go to the bathroom (hey you know for some this IS a blessing…just being real here). I have a roof over my head, food to eat( I guess a lot food since I am overweight) I have clothes, a car, some gas(smile) A loving husband, and wonderful adult children, a cute grandchild, I’m happy, have the grace and peace of God, health insurance…..well I could go on and on but you get my point. Even writing this out I fell even more blessed. I love the Lord so so much and I serve Him and obey Him and the bible says many promises that God bestows on His children when they do right by Him. Just giving your tithes to the Lord will cause Him to open the windows of heaven and pour you out a blessing. I feel so blessed this morning. Yes I still have many things going on in my life and there will be more difficult trials to come BUT…when you get into an attitude of being grateful for past and present blessings …..it will keep away the stressings! Message for today: We are so blessed By God even if we had nothing we are still blessed. The greatest gift mankind has EVER known is that there was a man named Jesus who was sent to earth by God to put us right with God by sacrificing His life, so that we can have eternal life. Because of this gift alone…….WE ARE BLESSED! Tanya, Continue to obey the Lord. I just found your blog today. Thank you! Thank you so much for your encouraging words. God bless you my sister! It must be our weakened human nature that causes us to always want more, more more! Living life with an attitude of gratitude, I’m sure, is more pleasing to God, who gives to us abundantly. Blessings to you!